Designed specifically for challenging deep water environments in the Gulf of Mexico (GoM), the Extreme Pressure Series 30,000 PSI TCP gun system utilises super big hole charge technology, providing best-in-class area-open-to-flow (AOF) to support frac-and gravel-pack operations. Delivering 18-22 shots per foot using steel HMX charges, standard casing sizes of 7" through 7-3/4", in combination with the 4 3/4" OD system, will achieve 6-7" AOF. However larger casing sizes of 9-5/8 through 10-3/4", utilising the 6 5/8" OD system, will deliver a market-leading 13-15" AOF. Developed in collaboration with high performance gun system provider, GEODynamics, the system is complemented by Expro's fully rated dual hydraulic firing heads and drill stem testing (DST) tools for underbalanced perforating applications. These systems offer cutting edge technology to deliver efficient completions, alongside optimal well performance. Expro's DST/TCP Product Line Director, Ron Fordyce said: "Expro has built a strong reputation as a leading TCP provider in the GoM, working with a range of major clients over the past 30 years. Following a growth in activity associated with deep wells in deeper waters, we knew it was important to deliver the right technology solution for this environment. "GEODynamics has an unsurpassed reputation for their gun systems and associated products. 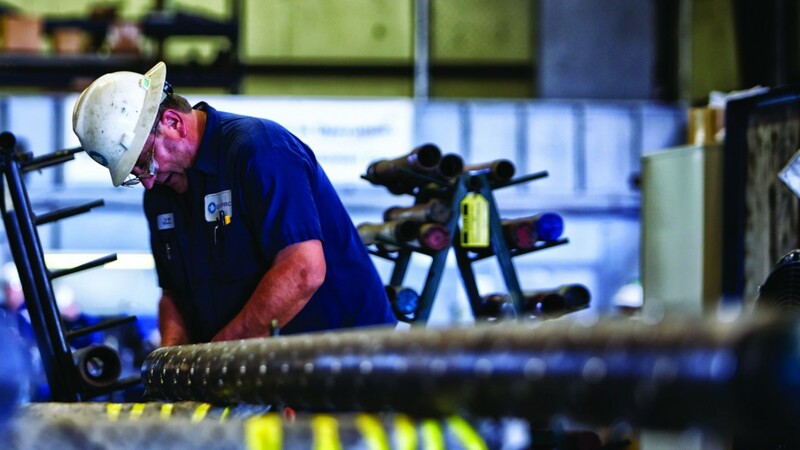 Alongside our reputation for safety and service quality, the new Extreme Pressure Series, provided exclusively by Expro, can now deliver similar performance for extreme high pressure as it would for lower pressure wells." Expro's DST/TCP Global Business Development Manager, Kerry Daly added: "The 30,000 PSI TCP guns and associated equipment were specifically designed for the deep water environment, where operators typically frac or gravel pack wells after perforating and require the most AOF possible. Now fully field tested, they can deliver an industry leading perforating hole size for achieving optimal completions and subsequent performance from the well. "It allows us to bring a key piece of technology to the market place, to support a range of clients due to spud their wells in 2018 - a key driver of this partnership from the outset."